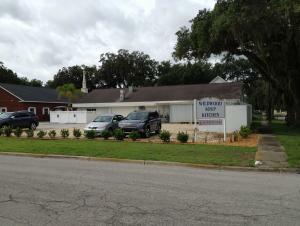 The Soup Kitchen was started in 1992 by Terri Stagg and Belen Sodergren of the Assembly of God Church in Oxford, FL. The first meals were served only twice a week in the church's fellowship hall. Clair Dionne, Tom Claud, and Ken Vance from the United Methodist Church of Wildwood assisted them. Because Oxford was so far from the Wildwood area, Teri petitioned the North Sumter Ministerial Association for a facility in Wildwood. Bob Merrell, the interim pastor of First Presbyterian Church in Wildwood extended an offer to host the soup kitchen. In August 1994 the soup kitchen moved to the First Presbyterian Church of Wildwood where meals were served twice a week. The Soup Kitchen now serves Monday through Saturday from 11:00 A.M. to 12:30. Patrons of the soup kitchen have grown steadily over the years. In 2005, a Board of Directors was formed to provide guidance in addressing growing needs of the soup kitchen. In that year, over 39,000 meals were served at the soup kitchen. Today the soup kichen serves over 80,000 meals a year for those eating in our dining room and those who receive delivery of meals. I n 2011 up until now the soup kitchen facility went through a number of remodeling projects to modernize the kitchen. These upgrades included a new walk-in freezer/cooler, new tile flooring, new stainless steel tables, redesign of food storage shelves, and several other upgrades. A major goal of this effort was to ensure the facility meets current food safety standards related to food preparation. 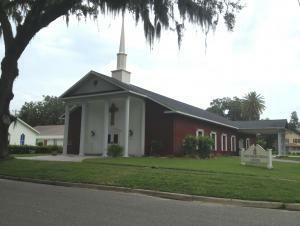 During this period the First Presbyterian Church completed a major upgrade on the parking lot and surrounding storage areas. Today, thanks to all these efforts, we now have an excellent kitchen faciity for preparation of food and for dining.